Bud Burst is a certified organic-input, nutrient supplement, containing kelp and naturally derived triacontanol. Triacontanol is a plant biostimulant found in plant cuticle waxes and beeswax, which encourages the development of plants during the flowering cycle. It is absorbed by the plant and stimulates the initiation of flower bud formation. This biostimulant activates plant flowering mechanisms to promote flowering yield and quality and increased flower number and size. 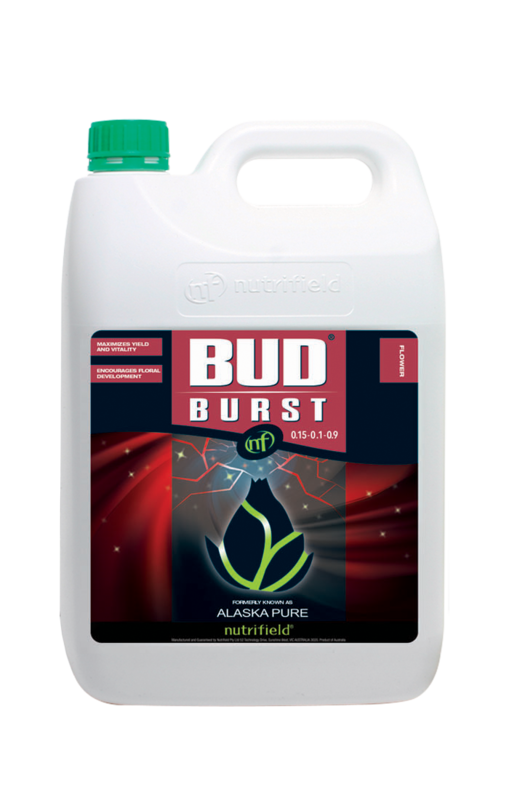 Nutrifield Bud Burst stimulates the formation of additional flowering sites and speeds up the formation of flowers. Additionally, Bud Burst increases blooming rate, flower weight, and flower longevity. 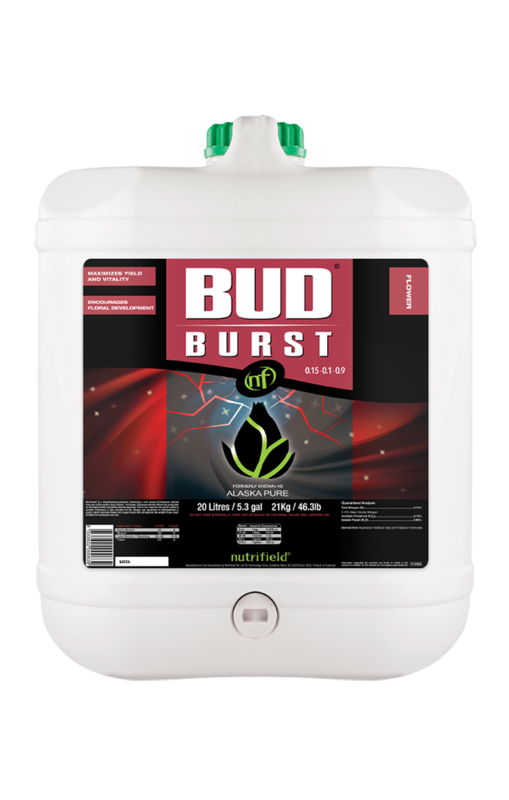 Bud Burst gives gardeners control during the flowering growth phase to achieve the greatest results for yield. To support our customers who follow organic farming practices, Nutrifield has achieved recognition from NASAA (National Association for Sustainable Agriculture, Australia) for manufacture of Bud Burst as a certified organic input. This ensures that customers producing certified organic goods can use Bud Burst in feeding regimes without compromising their certified organic status.